I've seen many people make reference to LEGO as Legos. e.g. "I enjoy playing my Legos". But from my understanding this is incorrect and should be referred to simply as LEGO (in capitals as per company standards) i.e. "I enjoy playing with LEGO". There is no reference to the terms Legos on the official LEGO site at http://www.lego.com. Although there are hundreds of mentions in LEGO's official message board (search site:lego.com +legos). I also don't want to accept that individual pieces of a LEGO set can be referred to as Legos as the official site refers to these as "parts" (see http://us.service.lego.com/en-US/replacementparts/default.aspx). Also a collection of LEGO sets can't be referred to as Legos as these are also referred to as "sets" by the LEGO company. Is it correct to refer to LEGO in any denomination as Legos? Owners of trademarks are free to make whatever pronouncements they like regarding how people should use their trademarks. Users of the English language, however, have the final say of how the English language works. Just as watches made by Rolex are “Rolexes”, Apple computers are “Macs”, shoes made by Puma are “Pumas”, cars made by Audi are “Audis”, portable video games made by Nintendo are “Game Boys”, by the same process toys made by Lego are “Legos”. Of course everyone is free to comply with these corporate demands, but the Lego Group has no authority over the English language to regulate it in this way. So if you want to feel guilty about using “Legos”, understand that the only thing you are guilty of is not obeying the demands of a Danish corporation, not for violating the rules of English grammar. The visitor would then be redirected to http://www.lego.com. While it is true that “LEGOS” is not a registered trademark (USPTO), it is ridiculous for the LEGO Group to assume that a consumer's mention of “Legos” instead of “LEGO bricks and toys” is detrimental to the brand, and even more ridiculous to impose rules like this on consumers. What might be most ridiculous of all, though, is the purchase of the domain name, if the LEGO Group is so bent on distancing itself from pluralization of its trademark. In Danish (where the name comes from; derived from "leg godt" meaning "play good"), Norwegian and Swedish, the name is an uncountable noun. I think it's both because it refers more to a concept than any actual piece. And also many of the pieces are small enough to be effectively "uncountable" like "grain", "sand" etc. I would personally use the word as an uncountable noun in English too. Calling it "Legos" sounds a bit odd (like saying "the Internets" etc.). But unless you're writing advertising material and have to bother with trademarks etc., I would only capitalize the first letter, e.g. : "I enjoy playing with Lego with my nephew"
Edit: I just found a page arguing that LEGO is not really a noun at all, it's an adjective. To me this sounds right, it explains why "legos" sounds so wrong. It's comparable to referring to some purple bricks as "purples". LEGO® is a brand name that is very special to all of us in the LEGO Group Companies. We would sincerely appreciate your help in keeping it special by referring to our bricks as "LEGO Bricks or Toys" and not just "LEGOS". By doing so, you will be helping to protect and preserve a brand that stands for quality the world over. If at any time we can be of service to you regarding our products, please feel free to write to us. "Susan Williams" was a fiction, the personification of the Customer Affairs department — but, as if she were Santa Claus, in those days Lego always acted if she were very much real. 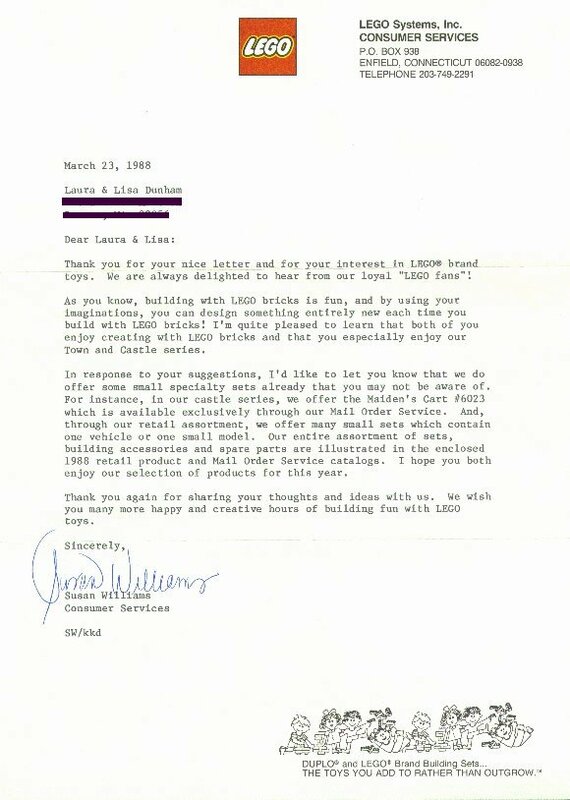 If you wrote a letter to Lego and got a response, "she" signed it (see this example of a Susan Williams letter). So, it was a personal request. And it was a request from a person representing a company we all loved, because we loved their product. So, when the sort of enthusiastic children who loved Lego so much that they read the fine print of the catalog and wrote letters to the company, we took the admonishment very seriously — but, I think, generally missed the point. Not being trademark lawyers, the messge didn't read as "call them bricks or toys, not lego" — it was "don't call them legos!" So, we grew up with that warning in our minds, carefully playing with lego even as we casually blew our noses on kleenexes and tossed our unwanted xeroxes in dumpsters. For this reason, the Lego vs. Legos debate has become a sort of shibboleth for the fan community. It's a signifier that the person you're talking to either grew up as one of those geeky fans, or is tied into the loose network of builders, makers, and artists for whom Lego is a passion. In many ways the technical correctness (or hyper-correctness) isn't as important as this cultural implication. Since the owner of the name chooses always to use “LEGO”, then it is not strictly correct to call the toy anything else. But I doubt the company’s brand protection lawyers are going to start serving cease-and-desist orders on children calling the building blocks “Legos”. I think “Legos” is predominantly an American English thing. As youngsters in the UK my friends and I always referred to it as “Lego”. As for writing the name in all-caps: while that is clearly the manufacturer’s preference, it could appear to stand out as unusual emphasis in casual writing. I think the issue here is the issue of plurality. Lego is the same in plural form as it is in singular. I would argue the word has moved from a proper noun to a general noun, so long has it been in the language; hence my use of it in lowercase. The representation of it in allcaps, is a marketing device of the company, for trademark usage, they do not use it themselves within most text, so I do not believe it to be necessary (particularly as that usually indicates an acronym, which it is not). If keeping it as a proper noun, then it should be initial caps. Technically, no. However, this didn't stop people from referring to Band-Aid bandages as bandaids. The brand name LEGO could be in the process of being genericized. Not the answer you're looking for? Browse other questions tagged grammatical-number brands or ask your own question.